Looking for a sight for a aeg . I have a red dot currently but want something with abit of magnification. Not looking for anything expensive. Anyone know any half decent ones around the 40 mark ? be careful with ACOGs - a lot of the cheap ones are x1 so you get no magnification. I doubt you will get anything other than a scope for that price, but good luck. I have found most sights and scopes below £100 are pretty bad, they just don't spend enough on the glass and they either distort badly or worse are very coloured. Spend a bit more and get a low end real steel scope. Konus make good 'real' scopes, they do a 1-4x, 'M31' if I remember correctly, that's good for the money. Vortex are also very good value for money, although the cheapest options from either of these companies will be over £100. I've never seen a particularly good ACOG copy to be honest, as said, hey are either, distorted, coloured or both. What sort of magnification are you after? I recently brought a VisionKing Short Dot 1.25-5x28 and am impressed with it. It is not a massive amount of magnification being 1.25 - 5 times magification but the image is crystal clear, and it has an illuminated reticule. I can also use it like a red dot at the 1-25 setting for close in work or CQB if I don't get a chance to change it for my T1 micro dot. It was a dream to mount and zero and overall I am really pleased with it. These sights are sturdy and as a result quite heavy and you'll need to buy a mount for it. Here's a pic of mine on the Warsport. The 5x zoom is more than enough for field play. I picked mine up on eBay for £69. I have the same settup on my Scar. Very good scope! 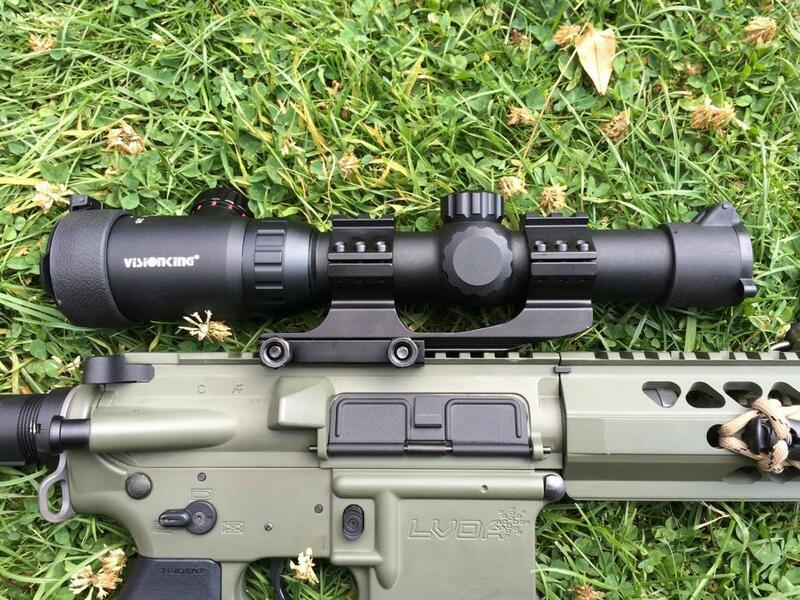 I use a Bushnell 1.5-4x scope and its very clear as well. The more I play and use scopes/sights the less I am interested in buying the airsoft ones, they are just rubbish. The only one that was even usable was the G&P red dot sight for like £30, I have spent 2x that and they have all been terrible.